The traditional Turkish Shadow play was one of the most popular entertainments in the Ottoman Empire. Families will enjoy a mesmerising performance lit against the traditional white curtain, or ‘mirror’, as common sense Karagöz and smooth-talking Hacivat attempt to solve everyday problems, meeting a host of other characters along the way. Tickets: Children £6. FREE for accompanying adults. Please be aware that only one adult (a parent or guardian) will be allowed with a child. The performance will be in Turkish and is suitable for children aged 5 upwards. Tickets: Children £6. FREE for accompanying adults. Please be aware that only one adult (a parent or guardian) will be allowed with a child. The performance will be in English and is suitable for children aged 5 upwards. Performer Ada Burke is a British actress, born in Turkey. She has been performing Karagöz and Hacivat in Turkish and English in various venues across the UK on behalf of Yunus Emre Enstitüsü – London. 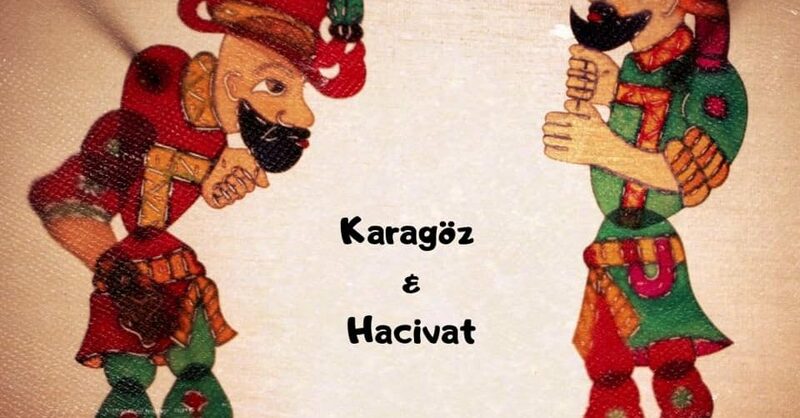 Karagöz and Hacivat is an educational project launched by Yunus Emre Enstitüsü – London, with the aim of promoting Turkish culture and establishing a bridge between students coming from different cultural backgrounds.